Those short answers are true. We did absolutely love it and we could have stayed a few more days. 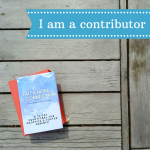 But people want to know more, and, of course, I want to share more, so here I go. 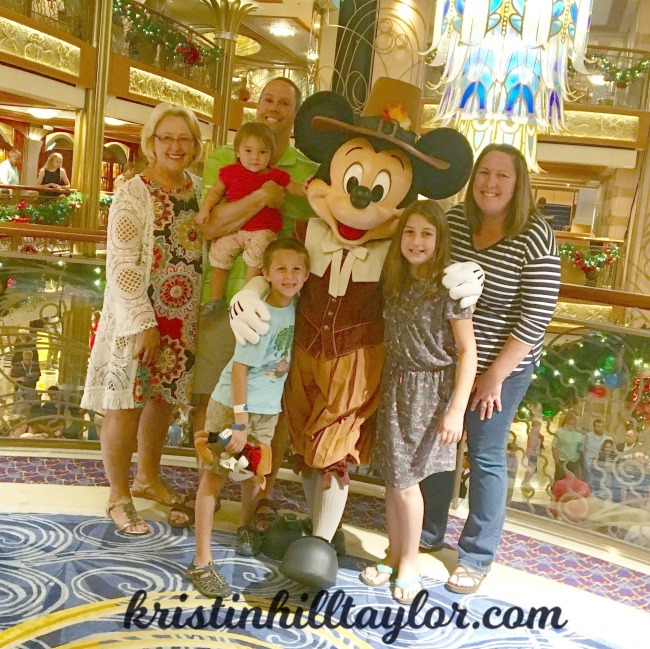 We took a four-night cruise aboard the Disney Dream. 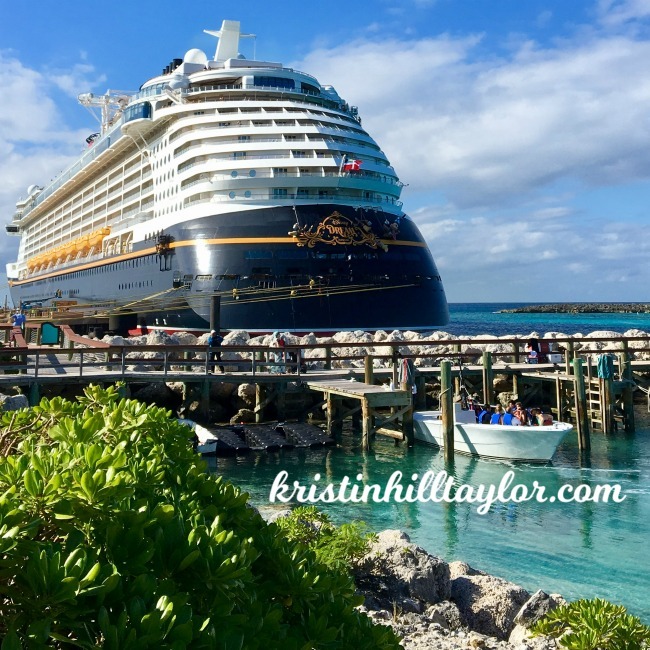 We boarded in Port Canaveral, Florida, and then sailed to Nassau, Bahamas and Disney’s Castaway Cay, also in the Bahamas. We spent Thanksgiving aboard the ship. Because of flight prices home, we ended up spending most of Friday and Saturday in St. Augustine before flying home out of Jacksonville. “We” means my family of five – including kids who are 9, 7, and 1 – plus Gran-Gran, who is my mother-in-law and the best travel companion around! Disney Dream is larger than two of Disney’s older ships – Magic and Wonder. It’s 1,114.7 feet long and 137 feet wide. The ship has 1,250 staterooms, carries up to 4,000 passengers, and has 1,458 crew members. There’s an awesome water slide – AquaDuck – that goes out over the water. It’s a 765-foot water slide with a four-deck drop and a course that winds 13 feet. Our party of six shared two connecting staterooms, which was perfect! Each room had a queen bed, a set of bunks that could be set up using the sofa and a twin bed that pulled down from the ceiling, and a murphy bed. The murphy bed would be in the way of the balcony, so my mother-in-law slept in one room along with the two big kids who were on bunks. Greg and I slept in the other room, where Rachel had a pack-and-play. There is shuffle board, nine holes of mini golf, a basketball court, table tennis area, a walking track, three pools (one of which is for adults only), a hot tub, two theaters (one for Broadway-style performances and variety acts as well as one that shows first-run Disney movies), and a 24-by-14 foot LED screen that actually showed football on Thanksgiving Day. There are three themed restaurants, two adult-only restaurants, a buffet, and multiple bars and quick-service stations. There’s a rotating dining plan that allows passengers to have scheduled dinner times at each of the three themed restaurants – Animator’s Palate, Enchanted Garden, and Royal Palace – with the same servers each night. And speaking of restaurants, our servers were among our favorite parts of the whole cruise. They were funny and kind. Blake from India did magic tricks each night while Dorian from Jamaica bonded with Rachel and remembered what we all liked to drink. 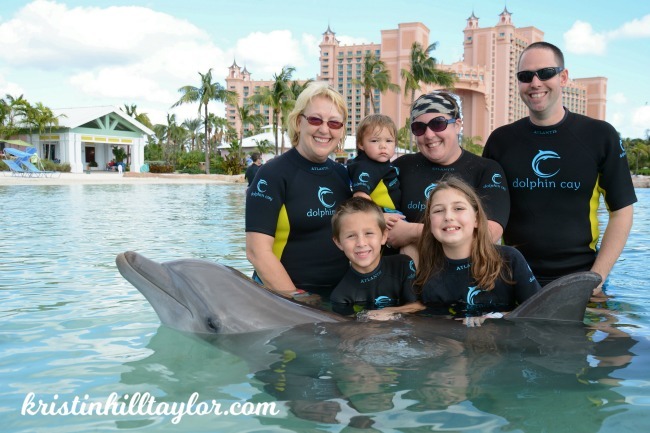 At Nassau, Bahamas, we went to Atlantis Resort, where we interacted with dolphins and enjoyed the water park. The shallow-water dolphin interaction was on everyone’s list of favorite parts of the trip – and why wouldn’t it be? Especially because Rachel kissed a dolphin. As Castaway Cay, which is Disney’s private island in the Bahamas, we fed, touched and snorkeled with stingrays – which was really neat but slightly terrifying, according to my oldest. We also enjoyed the beach, which included more water slides. We ate at 5:45 each evening, and then went to that night’s show, which started at 8:15 or 8:30 p.m. Yes, I know that seems late for little ones – and two of three usually are in bed by 7:30 p.m. – but there’s an energy that keeps them going, plus the shows were excellent and worth staying up to watch. Each night we had a little time between dinner and the show so we usually played a trivia-type family game in another lounge on the ship. There were three Broadway-style shows with many songs – “Villians Tonight,” “The Golden Mickeys” and “Believe,” which was my favorite of the three. The other night “Moana” premiered on the big screen – and we all enjoyed that! We loved the relaxing pace and all the ways Disney took care of us. The Disney Cruise was everything that’s good about a vacation – and we hope to board again one day. I have many, many more pictures I’m sure will show up on this blog at some point. And I’m happy to answer any other questions you have. 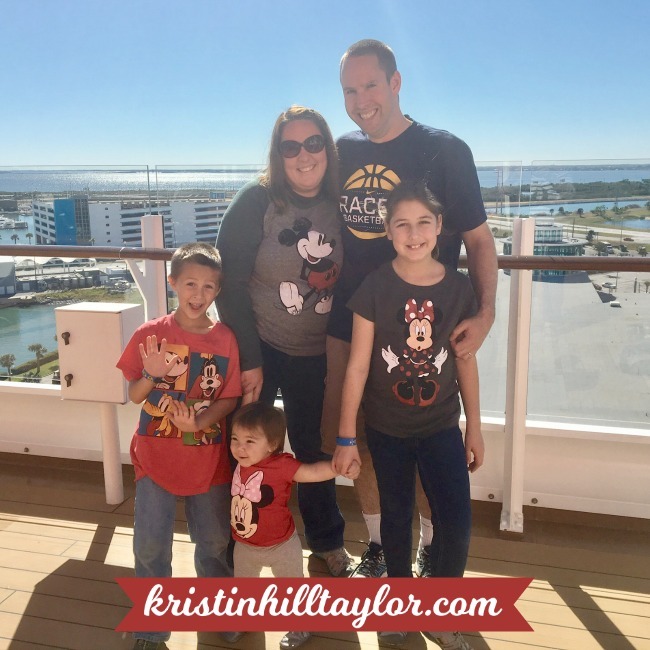 Kristin, my husband & I did a Disney cruise a few years ago, just the two of us and we LOVED it for every reason you have listed. Believe was our favorite show as well. 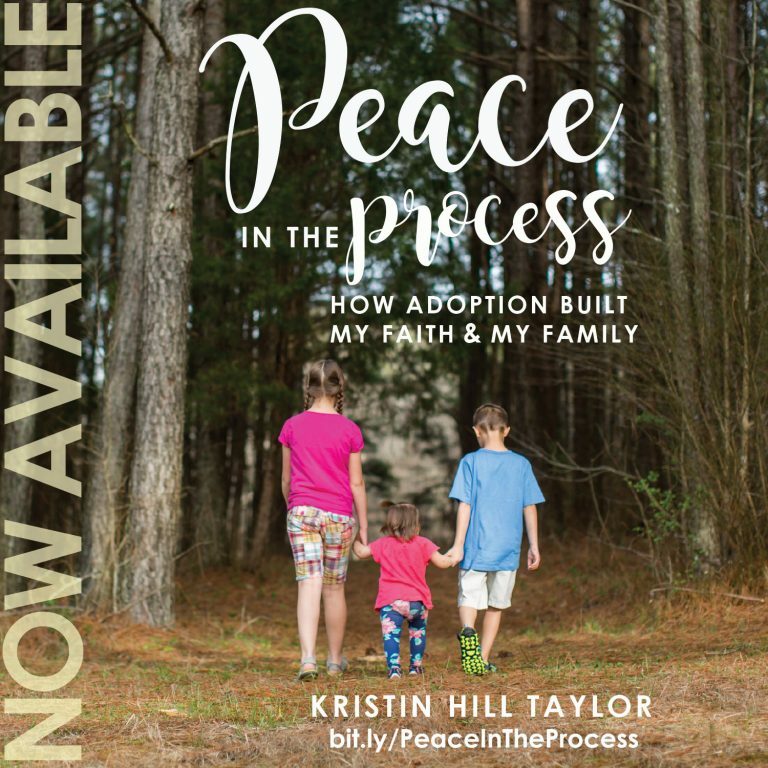 Our hope is to take our entire family aboard while our granddaughters are still young. 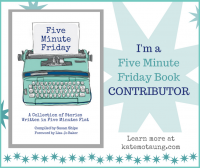 So fun to read your impressions! I wonder how often they change the shows on the ship. That’s something I’d like to know, now that you mention seeing Believe a few years ago. Anyway – a whole family trip would be so fun. I hope y’all get to do that! Thanks for being here, Joanne! So fun! My husband and I did a Disney cruise for our honeymoon. We loved the island and the fact that there were spots just for us without kids. So glad you made great memories – looks like a blast! Yeah, we didn’t see those adult-only spots, but it’s so nice they’re an option! We loved the cruise so much!